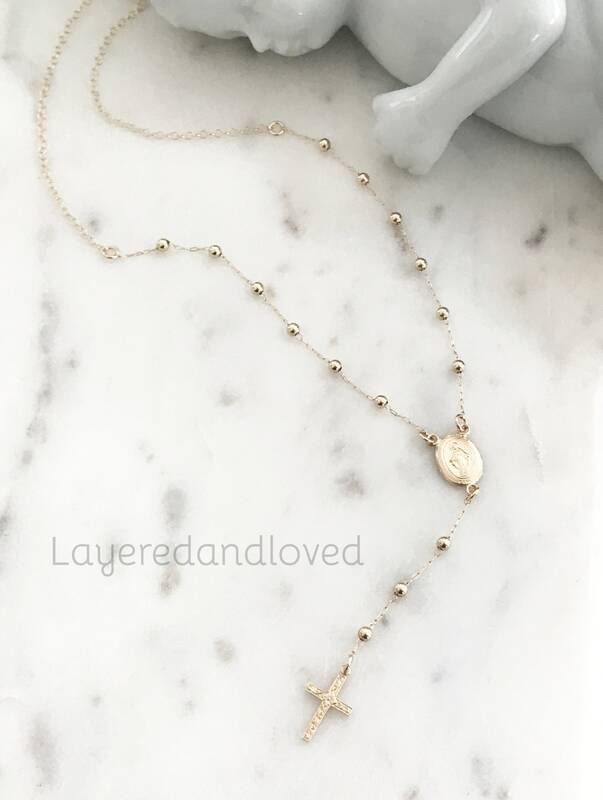 ♥ - 14k Gold Filled Miraculous Mother Mary Oval Pendant and Center. 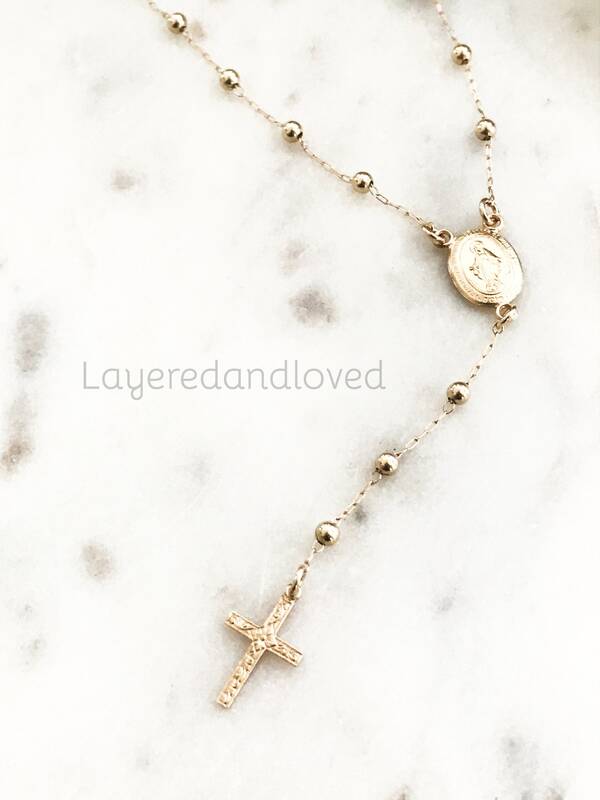 ♥ - 14k Gold Filled Beads. Length is Approximately 16" with a 3" drop. 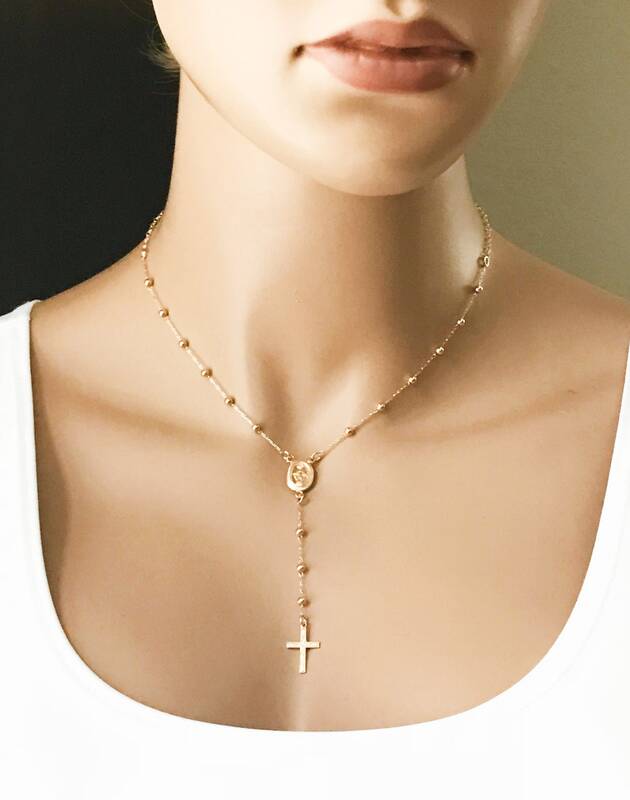 Beautifully dainty all gold fill rosary necklace. Each bead is strung on and placed to move between each section. This fine chain is dainty and secure, but please use special care as to not jerk real hard on the chain, as that might damage the links. 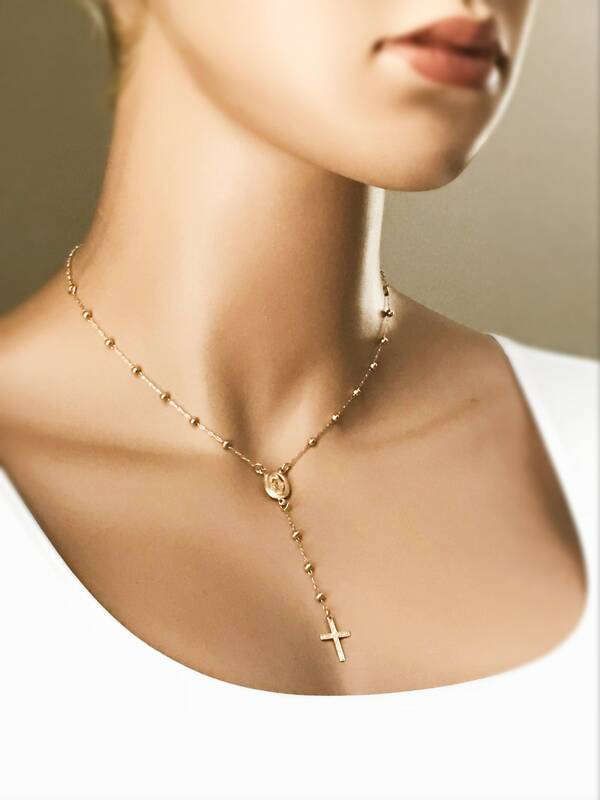 This necklace is made to order and could take up to 1 week processing.